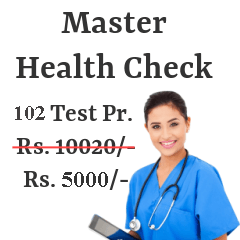 Functioning of thyroid gland is ascertained using a thyroid function test. The test measures hormonal levels of Triiodothyronine (T3) and Thyroxine (T4) secreted by thyroid gland. 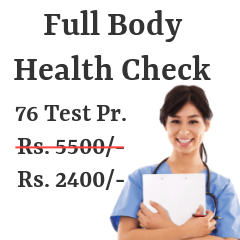 Thyroid function tests are easily available in medical centers across Bengaluru. Rates and locations of these diagnostic centers are compiled ahead for your reference. Following are the Thyroid Profile centers from most reputed pathology / radiology labs in Bengaluru. 154/11, Opp IIM, Bannerghatta Rd. 171, Panduranga Ngr.,First Cross, Off Bannerghatta Rd. No.400, Ranganatha Complex, Opp. HMT Gnd., Near 108 b Bus Stop, RT Ngr. Thyroid function tests are recommended for everyone leading a stressful lifestyle. Experts feel that women are likelier to suffer from thyroid disorders so they are candidates for this test. People suffering from type1 diabetes also should undergo this test from time-to-time. Patients suffering from down's syndrome, turner's syndrome and Addison's disease are also advised to undergo thyroid function test. It is absolutely necessary to keep a track of your thyroid levels irrespective of whether you are suffering from hyperthyroidism, hypothyroidism or are completely healthy. Thyroid function tests are done using a blood test. You are asked to sit down in a comfortable position on a chair. Thereafter, a tight plastic band is tied to your upper arm. This increases blood flow to the arm and this helps the technician locate a vein for drawing blood. The sample of blood thus drawn is sent to a laboratory for further analysis. No fasting is required for a thyroid profile. However you do need to tell your doctor if you are taking any medication. As specific medicines are capable to affect your results and interpretation. It is essential to let your doctor know if you are pregnant, as thyroid hormonal levels alter in pregnancy naturally. Also, if you've undergone an X-ray for some reason, that also could interfere with your test results. Consulting this page for locating medical centers for getting your thyroid tests done is a better and feasible thing to do. 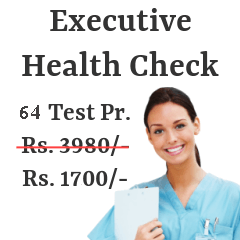 This test also contains rates of thyroid tests offered by various medical units in Bangalore, so choosing according to your budget is easier.